More than four decades may have passed but John Aitkin still remembers asking his father-in-law about World War I. It was not a subject that Hugh Fraser spoke to many people about. But he let his son-in-law know his feelings in no uncertain terms. Mr Aitkin recalled: "One night I said to him did he never think it was daft sitting in trenches just 100 yards apart - and he just about exploded." The old soldier's response was straight to the point: "Of course we knew it was daft but there was no alternative. "The French had mutinied and unless the British stayed there and stuck it out, the war would have been lost." It is a vivid tale which still echoes with emotion as Mr Aitkin tells it in his warm Hawick living room. It speaks of both Hugh Fraser's sense of duty and his loyalty to his fallen comrades. "My father-in-law accepted what we, looking back 90 years, cannot understand," explained Mr Aitkin. "They just had to stick it out. "And I think that generation wanted the sacrifice of all those men to never be forgotten." Mr Aitkin is in a better position than most to comment on the subject. His father, three uncles and father-in-law all volunteered for the Great War. All five of them came back alive. William Aitkin, John's father, was working as a wool sorter with Wilson and Glennie in Hawick when he volunteered. "He was 20 in 1914 and he knew how to drive vehicles which I think was quite unusual," said his son. Those skills were put to use driving lorries for the Army Service Corps throughout the conflict. Although he was never on the front line, the scenes he witnessed affected him deeply. "He talked about it but it was mainly about the good times rather than the bad times," said Mr Aitkin. "But there is no doubt the war affected him - he did not laugh very much, he was fairly serious. "It left its mark on him no doubt. "I think he was very conscious of the casualties, the men who had been killed and wounded, and he obviously thought a lot about that for the rest of his life." Hugh Fraser's wartime experiences also marked him deeply. A farmer's son from near Dalkeith, he joined the Territorial Army and was mobilised at the age of just 17 with the Lothian and Borders Horse. 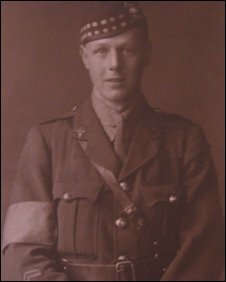 He served in France, receiving the Mons medal and was commissioned as a second lieutenant with the 6th Battalion the King's Own Scottish Borderers in 1917. "He was badly wounded in April 1918, it was the last big push by the Germans," said Mr Aitkin. 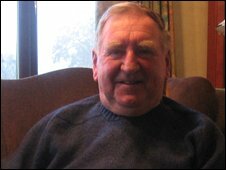 "I was the only person he ever spoke to about it - my wife knew nothing about it. "It took him a long time to recover, he did not get out of the army until September 1919." By the time of his return his family had moved to a farm at Morebattle in the Borders where he lived until his death in 1967. Although he spoke little about the war, it was never with any recrimination. "He never had any complaints about Field Marshal Haig and neither had my father," said Mr Aitkin. "My father's criticism was mainly that you never saw any of the senior officers at the front line." Both Hugh Fraser and William Aitkin have been dead for more than 40 years. 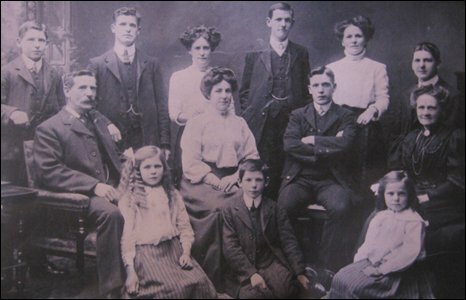 However, their memory is still very alive in at least one Hawick household and perhaps beyond. "It has come full circle, I think, the young generation now want to remember," said Mr Aitkin. "There was a time maybe 20 years ago that wasn't the case. "But with Iraq and Afghanistan it is much more on the television and media and everybody knows a bit more about it than they did at one time." John Aitkin is just warming to his subject when his recollections are cut short by more pressing matters. He is off to the local supermarket with his wife - to help with The Poppy Appeal. It is a small way of ensuring his father and father-in-law get their wish that their fallen comrades are not forgotten.